Triple-negative breast cancer (TNBC) disproportionately affects black women. However, black race as a prognostic factor in TNBC has not been well studied. 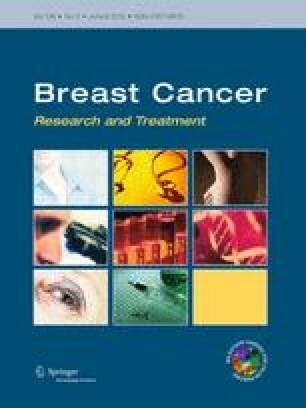 We evaluated the effect of race, among other variables, on outcomes in women with TNBC. A total of 704 patients with stages I–III TNBC treated with breast-conserving surgery ± adjuvant radiation therapy (RT) and chemotherapy were identified from an institutional database. Competing risk analyses, Kaplan–Meier methods, and Cox proportional hazards models identified associations among clinicopathologic variables on locoregional recurrence (LRR), distant recurrence (DR), and overall survival (OS). LRR was defined as a biopsy proven, triple receptor-negative recurrence in the ipsilateral breast or regional lymph nodes. At a median follow-up of 51 months, there were 55 LRR, 61 DR, and 111 death events. Compared to non-black women, black women had higher disease stage and were more likely to receive axillary lymph node dissection, chemotherapy, and nodal irradiation (all P < 0.05). After adjustment for stage, age, lymphovascular invasion, chemotherapy, and RT on multivariate analysis, black race was prognostic for increased risk of LRR (hazard ratio [HR] = 3.17; 95 % confidence interval: 1.7–5.8; P = 0.0002). The 5-year risk of regional recurrence was higher in black women (10 vs. 2 %, P < 0.0001), but local failures were similar between groups (3.0 vs. 5.3 %, P = 0.15). RT was an independent predictor for decreased LRR and increased OS on multivariate analyses (P = 0.0006 and P = 0.0003, respectively). Black women with TNBC had equivalent local control, but higher risk of regional nodal failure, compared with non-black counterparts. The routine use of comprehensive nodal irradiation may be beneficial for black women with TNBC. We thank the staff of the breast disease management team and the clinical genetics service database at MSKCC for their continuous support in maintaining the retrospective database used for this research.